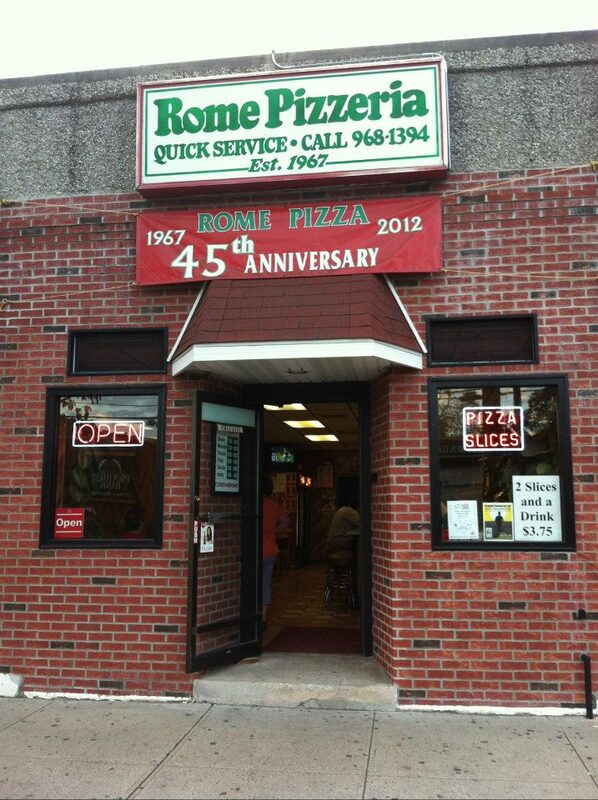 Rome Pizza - Since 1967! | Central Jersey's Best Pizza! Our pizza is made the old fashioned way…dough made fresh daily using nothing but 100% mozzarella cheese, our own blend of sauce and seasonings, and premium toppings. Our menu is simple and so is our formula for success…make fresh, quality pizza better than anyone else while providing value and dedication to our customers. 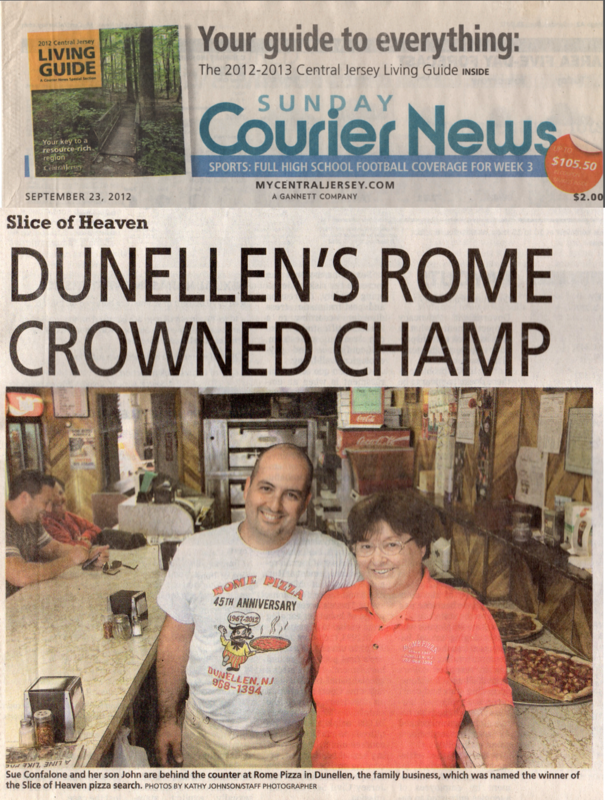 As owners and operators of Rome Pizza since 1967, it has been our pleasure to serve Dunellen and the surrounding communities over the last 50 years. As we celebrate our anniversary, we extend a very heartfelt “THANK YOU” for your patronage and support! 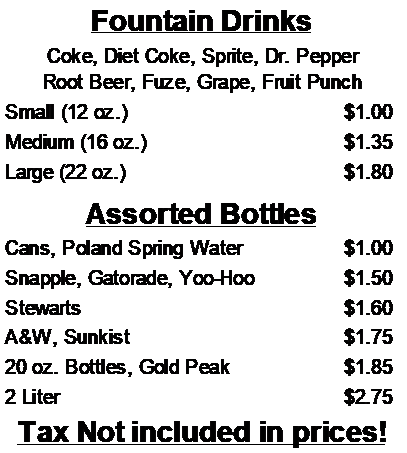 All prices below do not include sales tax. And we accept cash only! Senior and Volume Discounts Available! 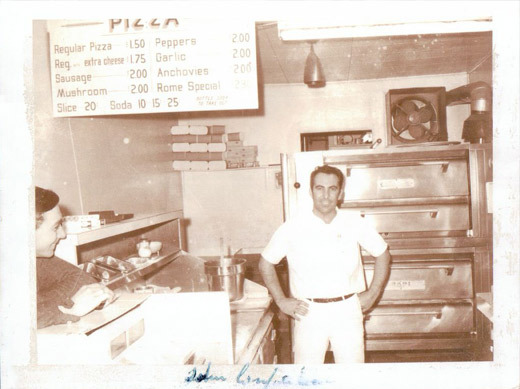 Our dad and Rome Pizza founder, John Confalone! Our storefront. 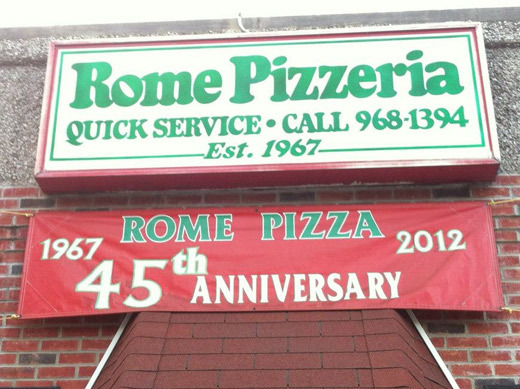 Rome Pizza – 45 years and counting! Owned and Operated by The Confalone Family! Weekends Only, Local Delivery, $1 delivery charge. Please have a well lit front door and visible house number.